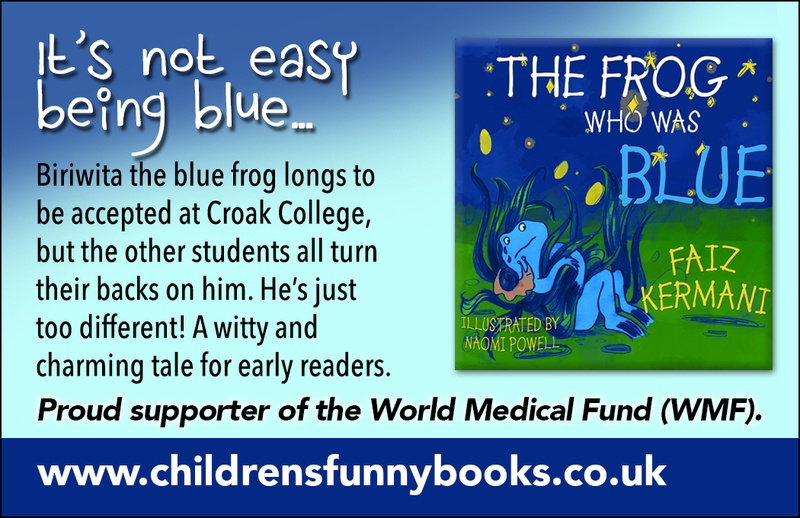 It’s taken a long time to be published, but The Frog Who Was Blue is officially out and about. As I’ve been so busy with this project I’ve not been very good at providing an update, but there is a lot happening. Over the next few months I hope to provide some updates on the interesting and unexpected side projects that have arisen because of the book. 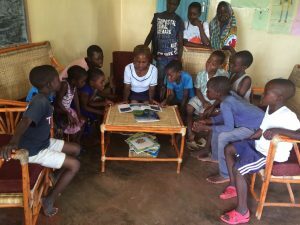 The book was written to support the work of the World Medical Fund (WMF), which provides life-saving medical care to Malawi’s poorest and most vulnerable children. WMF’s programmes rely entirely on donations and their staff treat over 25,000 children every year in rural Malawi. Recently, some WMF team members took copies of The Frog Who Was Blue to Malawi and showed them to the local children, where the story got an enthusiastic reception! It’s been a lot of fun to have worked on The Frog Who Was Blue, as it was a collaborative project. Please see this fantastic write-up that gives some background on how the book was developed and the excellent teamwork involved. 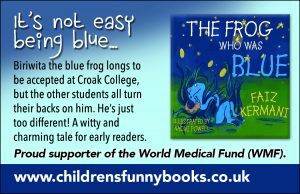 We hope that The Frog Who Was Blue will not only raise funds for WMF’s vital work, but that will also raise the charity’s profile as too few people are aware of the amazing work it does with such limited funds.